New Delhi: Superstar Salman Khan has a chock-a-block work calendar. 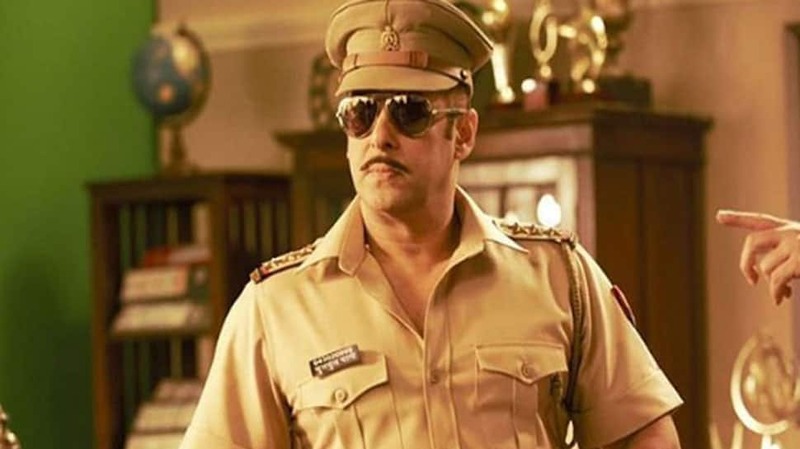 Soon after wrapping up Ali Abbas Zafar's 'Bharat' with Katrina Kaif, Bhaijaan got started with 'Dabangg 3'. The movie happens to be the third instalment of the hit 'Dabangg' franchise. Sallu Bhai will be seen reprising his role of Chulbul Pandey and Sonakshi Sinha plays Rajjo—her character from the original and second part. Salman took to social media and shared a fresh still from the sets. Looks like he is shooting a sequence inside temple premises. Although his face is not visible, yet excitement to see him in his funniest avatar as Chulbul Pandey is high amongst the fans. The actor, who is shooting in Maheshwar, Madhya Pradesh even thanked his fans through a video recently as the crowd gathered in huge numbers just to catch a glimpse of their favourite star up and close. 'Dabangg 3' is helmed by Prabhudheva and hit music composer duo Sajid-Wajid will create soundtracks. The film is expected to hit the screens in December 2019. The release date has not been officially announced as yet.